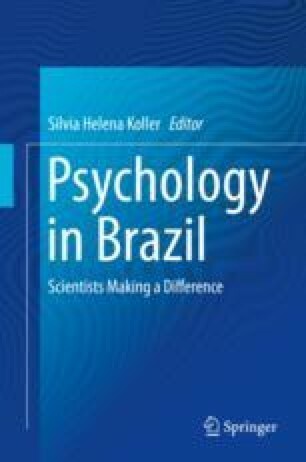 The text will focus on my most significant scientific contribution: in addressing the study of the history of psychology in Brazil, I have deepened the interfaces existing between psychology and cultures throughout history. My research was motivated by the requirement to contextualize the production of psychology in the two dimensions of space (cultures) and time (history). I specifically focused on the case of Brazil, reconstructing the history of psychological knowledge and scientific psychology, from the colonial period until the beginning of the twentieth century. This contribution is significant as it provides an extension to the domain of psychology by including not only the production of psychological science of the last centuries but also the study of concepts and practices produced in different cultures and expressive of each of their visions of the world and man. This field is called the history of psychological knowledge. In the case of Western culture, the most important concepts used by scientific psychology (psyche, person, individual, body, mind, and psychic processes such as sensation, perception, memory, imagination, cognition, affect and will) were generated in a long-running past and by several genres of knowledge (philosophy, medicine, literature, theology, rhetoric). The possibility of conducting studies from this perspective was based on some biographical factors regarding my formation and the significant meetings that guided me and stimulated me to follow this path. This will be reported in the text. The knowledge of collections and the finding of documents were also important; with it being necessary to study contemporary historiographic methodologies. Finally, two topics will be discussed. In the first place, I will address the insertion of my contribution in the panorama of international scientific knowledge, specifically within the context of the current trends of the historiography of the sciences and psychology, regarding the extension of those areas of research that today focus on the specificity of cultures and the processes of appropriation and transmission of knowledge. Secondly, I will discuss the role of my contribution in the training of professional psychologists who are attentive to the cultural processes of the lives of their clients, and who seek to strengthen the rooting in their interventions and consolidation of their own ways of being, linked to cultural diversities. I intend to contribute to the constitution of psychology suitable for a multicultural world. In this sense, it seems to me important to expand the content of the history of psychology teaching programs and to increase the growth of research in the areas of psychology in the interfaces with memory, history and culture.